Globally, skin cancer are the most common form of cancer accounting for about 40% of cases. The most prevalent type is non melanoma skin cancer(80% are basal-cell cancers and 20% squamous-cell skin cancers), which occurs in at least 2-3 million people per year. Non melanoma skin cancer rarely result in death. Australia and New Zealand have the highest rates of melanoma in the world. The three main types of skin cancer have become more common in the last 20 to 40 years, especially in areas which are mostly Caucasian. According to the Cancer Council Of Australia, aapproximately, two in three Australians will be diagnosed with skin cancer by the time they are 70, with more than 750,000 people treated for one or more non-melanoma skin cancers in Australia each year. Non-melanoma skin cancer is more common in men, with almost double the incidence compared to women. 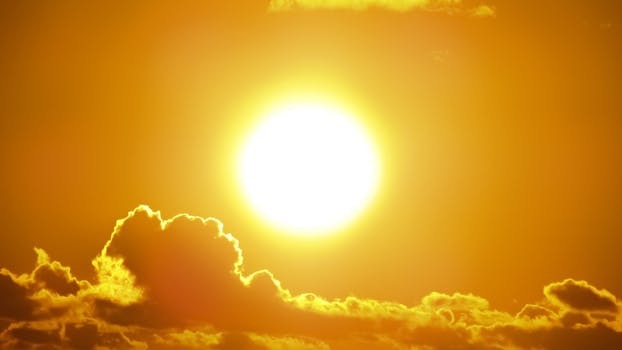 According to a study Where on Earth has the highest UV ,ultraviolet intensities in the New Zealand summer are extreme on the international UV Index scale. The problem with Australia is that the continent receives higher UV radiation levels than Europe. “Being located close to the ozone hole over the Antarctic means that much higher, more severe levels of UV radiation get through to ground level ( average of about 246 days of sunshine) This means more damaging UV radiation coming through the atmosphere, creating a high UV Index and causing harm to unprotected skin. Many in Australia and New Zealand enjoy active, outdoor lifestyles. Outdoor sports and activities such as water sports, gardening and beach days are quite common which is a healthy lifestyle by all standards. However, spending more time outdoor also exposes the skin to more damaging UV radiation. In addition, it is a common cultural preference for people to tan their skin this encourages harmful tanning practices within the population. Another major reason why skin cancer rates are so high in Australia is the large proportion of fair-skinned people living in the region. The descendants of British and European colonists who came to Australia in the late 18th century are living in an environment to which their skin is not well adapted to. Light skin contains less melanin, our body’s natural protection from UV radiation. This makes them more vulnerable to developing skin cancer.Aboriginal Australians rarely develop skin cancers. New Zealand -New skin cancers total about 67,000 per year, compared to a total of 16 000 for all other types of cancer. Skin cancer rates in New Zealand are the highest in the world. The incidence of melanoma in New Zealand and Australia is around four times higher than in Canada, the US and the UK. United States – More than 1 million cases are diagnosed each year, and according to current estimates, 40 to 50 percent of Americans will have skin cancer at least once by the time they are age 65. Germany – The Robert Koch Institute forecast around 20 000 new cases of malignant melanoma for 2014. In addition, 150 000 new cases of basal cell carcinoma and 37 000 of squamous cell carcinoma were expected. This is a total of at least 200 000 new cancers. United Kingdom – Incidence rates for melanoma skin cancer are projected to rise by 7% in the UK between 2014 and 2035, to 32 cases per 100,000 people by 2035. 1 in 54 people will be diagnosed with melanoma skin cancer during their lifetime. Sunscreen Causes Cancer : Facts vs Fiction How Long Does Colon Cancer Take To Develop Develop ? The Complete Guide to Cancer: All Your Cancer Questions Answered How Does Cancer Develop ?